A Hotel Barge Holiday is the ideal family getaway in Europe, with a little something special for all ages. We want you to feel very much at home on your hotel barge holiday, it’s your charter, and therefore your space for the week. Chartering allows for an incredible amount of flexibility, early mealtimes for the children? Check. Toys and Board Games aboard? Check. Spontaneous picnics? Check. A slightly later dinnertime for the adults? Check. 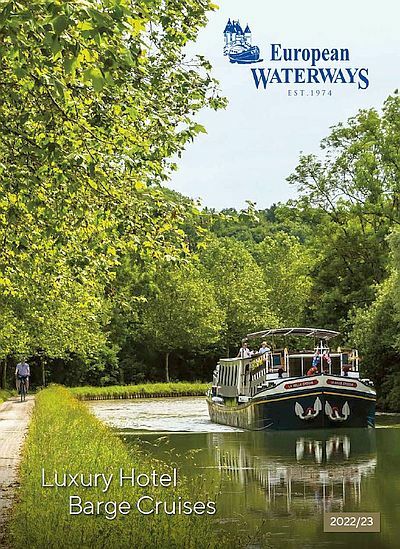 A barge cruise really is the perfect environment for multi-generational travel; while the kids splash happily about in the spa pool and Mum & Dad have taken to the towpath for a romantic cycle, Grandad can lounge on deck with a glass of the local red wine and his favourite novel. On shore, you’re still in very capable hands, in each region we have a wide variety of child-friendly activities that can be substituted in to your itinerary, from a Harry Potter-esque steam train ride in the Scottish Highlands to activities such as canoeing, swimming & zoo visits all over France! Indulge in the beautiful al fresco markets where the children can help pick the ingredients for the evening meal and explore fascinating historical monuments along with your knowledgeable tour guide and chauffeur. As always, the adults will be very well catered for, every palette adhered to, and every culinary whim indulged. There will still be plenty of time for multiple wine tastings at some of the most renowned vineyards across France and Italy (or Whisky Distilleries in Scotland), as well as private tours of architectural gems across Europe. After the children have retired to their cosy cabins for the evening, a live jazz band might even help you relax on deck as you enjoy the tranquility of the countryside by night. Interested in a hotel barge holiday? You can find plenty of information on Family Charters here, or if you’d like to know more then please don’t hesitate to contact our Sales and Reservations Team who are always happy to chat!